GatewayRedbirds.com • View topic - What is your perception of wealth? What is your perception of wealth? Post subject: Re: What is your perception of wealth? CEOs make 164x the salary of their typical employee. I wonder how they calculate CEO “salary”. Ours probably only made around $1MM in base salary, but probably another $10MM or so in bonuses and stock grants. Plus, rough estimate, about $20MM based on the shares he already owned. 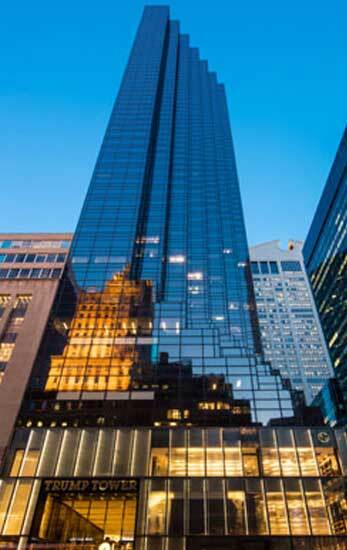 Given, last year was a really good year for us both in performance and stock performance, and we are one of the largest companies in the world. But that is probably 400x or so of the “average” employee. And it is still child’s play compared to Jeff Bezos. If Amazon has an ok day on the market and his net worth goes up by 1 billion, that one day is 10,000x a $100k per year salary. How much money do you need to earn a year to be rich? 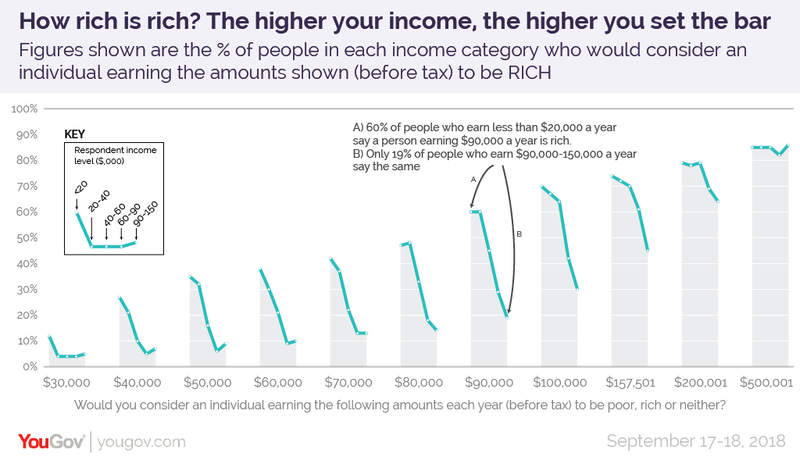 The level of income at which most Americans begin to consider someone rich clearly rests between $90,000-$100,000 dollars. People are divided on whether a person on $90,000 a year is “neither rich nor poor” (46%) or “rich” (44%). 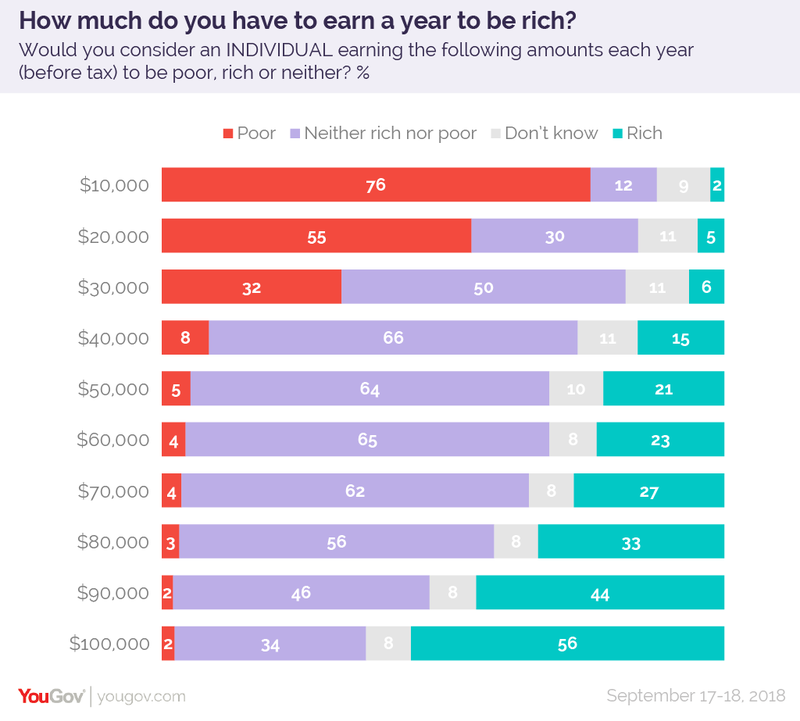 At $100,000 opinion has tipped much more strongly towards “rich” at 56%, with only one in three (34%) believing someone with an income this high to be “neither rich nor poor”. Understanding where the public think that “rich” and “poor” lie on the income scale has an obvious importance for helping politicians formulate policies that they want to impact higher and lower earners differently: for instance, where to set income tax brackets, or at what point someone should no longer be eligible for certain welfare programs. But it can also tell us a lot about society, which is why YouGov has explored the public’s views on where the lines for rich and poor lie. My parents probably still make around $3-400k annually. Seeing their savings and checking account statement they accidentally left on their counter totally changed my perception of wealth. I had more than they do making a fraction of their income and being half their age. Stupidly expensive habits have turned what should be wealthy people (I think) into people with high spending power but nothing to their name. Listening to Dave Ramsey's podcast showed me this isn't uncommon. Which makes me sad because I know people making $12 an hour who would totally change their life if they made $18. Easy come easy go, I guess. Numbers from 2014 - but still interesting. I think everyone needs to come to their own conclusion on if being "wealthy" is a goal for them or not. There's a case to be made for enjoying your life while you're young. Given, I think everyone should evaluate if the money they spend is truly making them happy. But I'm not a huge proponent of scrimping and saving every penny just so that you're "wealthy" later in life. i'm poor and gonna be worse off than my parents, will work 30 mores years in a [expletive], redundant job (if i'm lucky!) and die a sad terrible alone pathetic death when i'm found being picked apart by my cats a few days later. I am going nowhere. This place... is like... the hospital where I was born, my house, my old age home, and my... graveyard... for my bones. You need to shake things up homie. Why not move somewhere new? 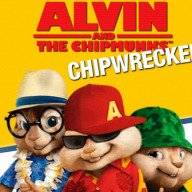 I've seen those too. And my dad has alluded to being behind where they should be. I should've painted a clearer picture. I know for a fact they aren't healthy financially if stuff hit the fan tomorrow.